Tal Golesworthy spoke at the XIII Conference on Medical Robots which was held in Zabrze, Poland on 17 and 18 December 2015. The conference is organised by the International Society for Medical Robotics and is attended by research workers, designers, constructors and users of robotised equipment used in medicine. Find out more about the conference. 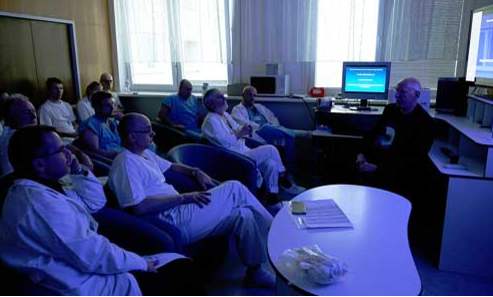 In December 2015, Tal Golesworthy visited the Charles University Hospital at Hradec Kralove in the Czech Republic to discuss PEARS surgery with the cardiac surgeons. 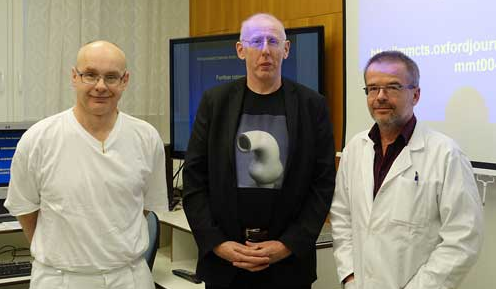 From left to right: Prof. Jan Vojáček, M.D., Ph.D., Tal Golesworthy and Assoc. Prof. Pavel Žáček, M.D., Ph.D.
On 11 November 2015 Tal Golesworthy spoke at the Scottish Completing the Picture in Cumbernauld. The conference is an annual educational symposium for healthcare professionals who use, manage, maintain or purchase medical devices. This well respected event is a recognised professional development opportunity and helps to improve knowledge and awareness of medical device topics that affect the industry both today and in the future. Tal’s talk was ‘PEARS: Engineering Innovation in Cardiac Surgery’. You can download the conference programme here. 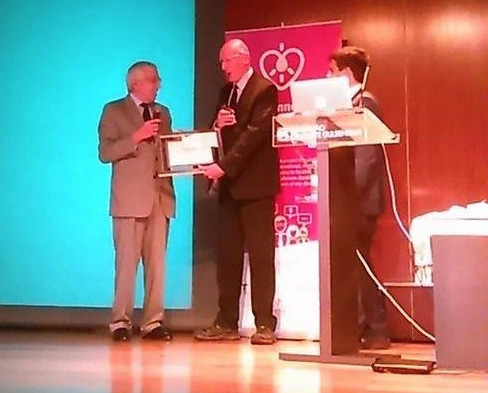 On 13 July 2015 Tal Golesworthy received one of the first six Patient Innovation Awards at a ceremony in Lisbon. Patient Innovation (PI) is a nonprofit, international, multilingual, free venue for patients and caregivers of any disease to share their innovations. PI is an initiative by Católica Lisbon School of Business and Economics in collaboration with Instituto de Medicina Molecular (IMM). to cope with their health condition or to assist others they care about. For more information about the organisation you can visit the Patient Innovation website. On 17 June 2015 Tal Golesworthy spoke at Completing the Picture, an annual educational symposium for healthcare professionals who use, manage, maintain or purchase medical devices. Tal’s talk was ‘PEARS: Engineering Innovation in Cardiac Surgery’. More information about the conference can be found here. On 13 June 2015, Tal Golesworthy spoke at the fifthTEDxKraków. The title of his talk was ‘Once you’ve undergone cardio-thoracic surgery, everything else is a piece of cake’. The day’s theme was “Reconnecting the dots” and featured speakers and performers showing how they connected the dots to create something new, or reveal something that wasn’t obvious. You can find out more about Tal’s talk here. You can also watch Tal’s talk below. Professor John Pepper, who is one of the clinical advisers to the PEARS project, has been awarded an Order of the British Empire (OBE) for services to heart and lung surgery, in Her Majesty The Queen’s birthday honours. 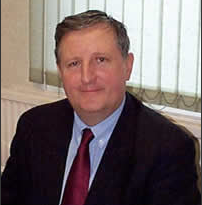 Professor John Pepper was educated at Cambridge University and Guy’s Hospital prior to his postgraduate training in cardiothoracic surgery at the National Heart Hospital, London Chest Hospital and Guy’s. He was a consultant cardiothoracic surgeon at London Chest Hospital and St George’s Hospital before moving to Royal Brompton Hospital. Warren Thornton, software developer on the PEARS project, has been awarded Chartered Engineer status by the Institution of Mechanical Engineers. Warren Thornton did his first degree at UC Berkeley and came to the UK to do a PhD in Mechanical Engineering at Imperial College. While doing his PhD he became involved in the PEARS project as the software developer. Warren was closely involved in developing the MRI scanning protocol and wrote the bespoke Computer Aided Design (CAD) code which was necessary to reconstruct the ascending aorta from MRI images. This was a critical step in the PEARS Project. Warren has modelled every aorta since the start of PEARS and continues to develop the CAD code for PEARS. Tal Golesworthy spoke on the PEARS project at the Scientific and Technological Advances in Cardiac and Vascular Surgery: a Translational Approach conference, which was organised by the International School of Cardiac Surgery and the International School of Solid State Physics and took place in Erice, Sicily between 30 April and 6 May 2015. Slides from the event are available here. As debate in the medical press continues on the likely mechanism of action and efficacy of drugs that might slow or protect against aortic dilatation in patients with Marfan syndrome, Professors Tom Treasure, John Pepper and Raad Mohiaddin have written to the Editor of the New England Journal of Medicine to draw attention to the benefit to patients of the Personalised External Aortic Root Support as an alternative to replacement when surgery is indicated. You can read this correspondence here.